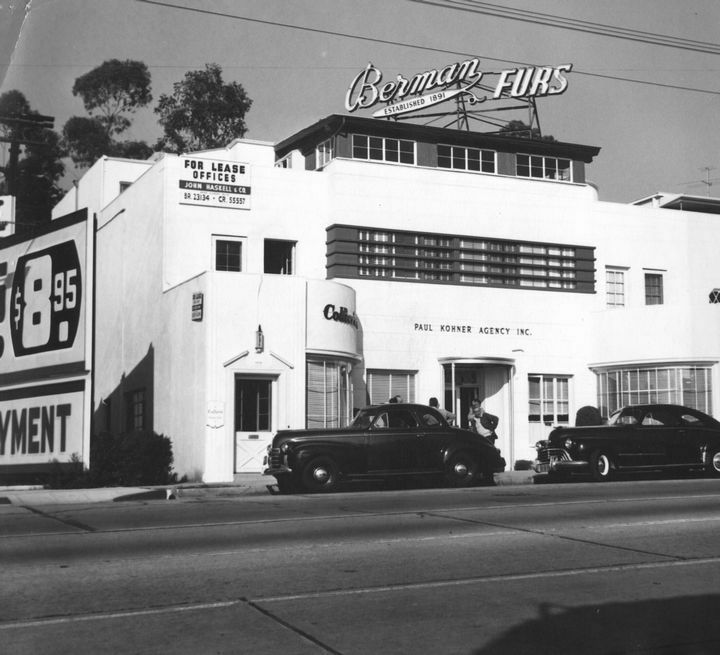 Sketch for the Paul Williams designed Berman Furs building, 9169 Sunset Blvd. 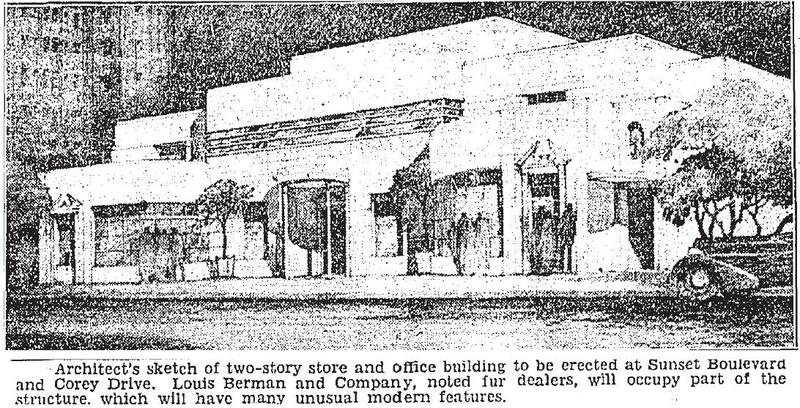 8-13-1936. 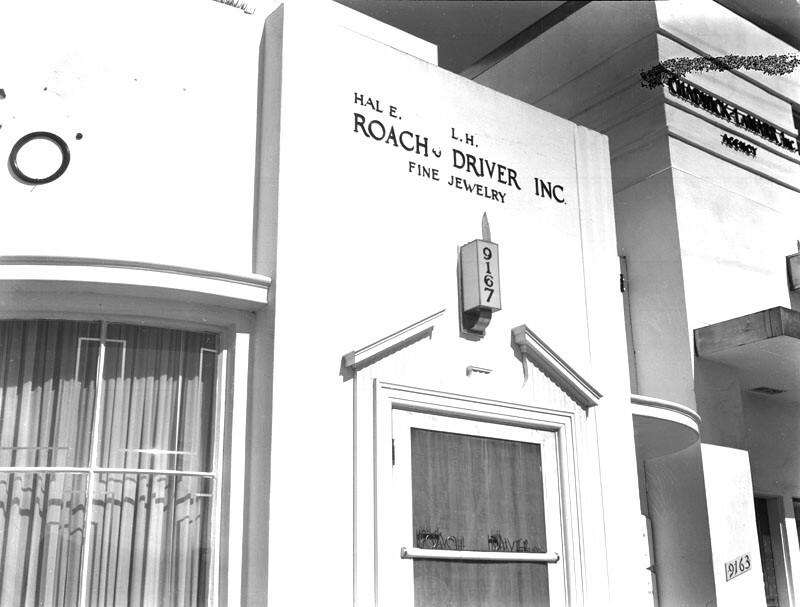 Hal Roach’s jewelry store at 9167 Sunset Blvd., in the Berman Furs building, c.1938. LAPL.